For several years I have been like so many and have made resolutions at the beginning of the year. And just like a lot of those that made resolutions, most if not all were soon forgotten. The other night we were watching an older Phineas and Ferb episode. Doofenshmirtz was (of course) trying to take over the tri-state area during New Year's eve. He made a resolutioninator that changed everyone's resolution to follow him as a leader. *Spoiler Alert* At the end the resolutions of the people were changed to follow him but it only lasted for a minute. The plan didn't work because people never keep their resolutions. While the ending was funny, it was kind of sad at the same time. Most people make resolutions every year, but very few follow through on them. 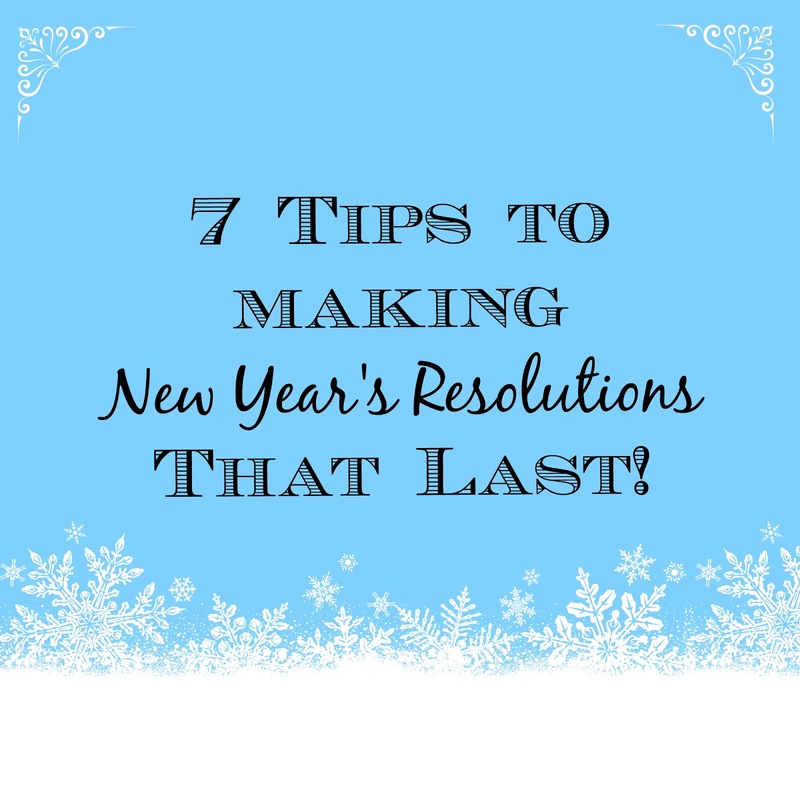 I started thinking about how I treat my resolutions and thought I would share with you 7 tips to follow to make your New Year's resolutions last. Wow, that was pretty easy. End of post, right? Not quite. A couple of years ago I stopped making resolutions. 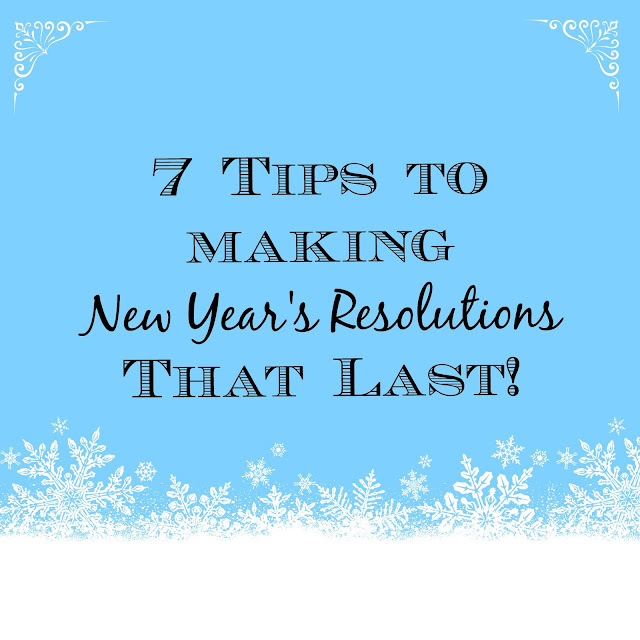 Why make resolutions that I was not keeping? In fact, there were some that wouldn't even last a month! Instead I make yearly goals. There is something about calling it a goal that makes it seem more attainable. And it's safe to say that we have all achieved at least one goal in our lives. In fact I think setting goals is more important than resolutions so for the rest of the post, I'm only going to refer to resolutions as goals. There is nothing wrong with dreaming big. We have our dreams here at Henslee Farm that we know some day we will achieve. But for the time being, I need to focus on the little things. The things that I know can be accomplished. We want to become debt free. Is that something that we can accomplish this year? Not unless a big wind-fall comes our way. However I can create a goal of paying off three debts. I know that is attainable and it is a step toward the bigger goal down the road. Sometimes being too specific can set us up for failure. One of your goals may be to become healthier. If your goal is to exercise every Monday, Tuesday, and Wednesday for 45 minutes each day, chances are something may happen that you wouldn't always be able to follow that schedule. Instead you could say that you want to increase your amount of exercise to 3 days per week. That goal gives you some wiggle room with the days and the amount of time you exercise. Find yourself someone that can hold you accountable. It might be a spouse, a friend, or a sibling. Share your goals with them. In fact if it is your spouse it is important to work together to have some shared goals. If someone else knows about your goals it is easier to stick with them. I'm sure you have heard of the saying out of sight, out of mind. Don't write your goals down and then put them away where you won't see them or will forget about them. Put them in a place where you can see them on a daily basis. It might be on the fridge, the bathroom mirror, beside your bed. Just somewhere that you can see your goals and be reminded of them. When I create goals for my job, I review them after 3-6 months. I look at what I have accomplished, what still needs to be done, and what if anything needs to be tweaked. You should be doing the same for your personal goals. Just like you put them on display to remind yourself of them, be sure and take a good hard look at them and see where you are in accomplishing them. It is okay to make adjustments to them. Life always throws us curves and it is important to be flexible. That is another reason why #3 above is important. It is important to celebrate and focus on the goals you were able to complete. Even if you were only able to complete a part of a goal that is awesome. Don't focus on what you didn't do. Cut yourself some slack and realize that completing any goal or part of a goal is awesome. Not completing a goal this year does not mean you can never complete it. If you want to continue it just roll it forward into the next year, or maybe it is not something that is important to you anymore. That's okay! Look at what you did accomplish! I thought I would share some of my goals that affect you guys for the 2016 year. I want to post on a more regular schedule. The holidays really threw me off. I want to include more posts on home improvement. We will be doing several projects this year that I can share with you all. I want to include more craft posts using recycled material. Okay that one is specific, but I'm hoping with the leftover material from our building projects, I'll be able to transform some things into crafts. I want to provide some free printables for you guys to use. And the big one is I want to work on an ebook that will be available by the end of 2016 or beginning of 2017. I hope that your family has a wonderful 2016 and that you accomplish your goals for this year. I also hope that you will continue to come back and read and comment. Speaking of comments...please share with me some of your goals for 2016 in the comments below.